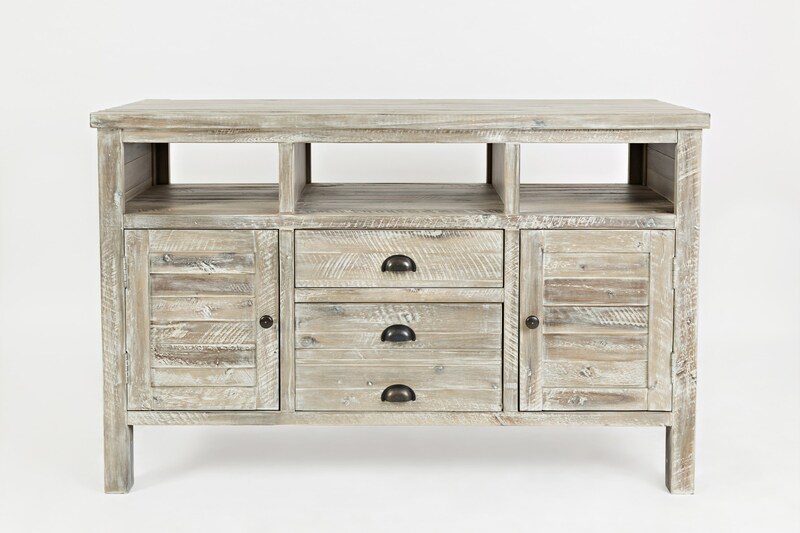 The Artisan's Craft 50" Media Console by Jofran at HomeWorld Furniture in the Hawaii, Oahu, Hilo, Kona, Maui area. Product availability may vary. Contact us for the most current availability on this product. Storage Open Center: 17"W x 17.5"D x 6"H. Open Side: 12.75"W x 17.5"D x 6"H. Bottom Drawer Dims: 15"W x 13.25"D x 7.5"H. Top Drawer Dims: 15"W x 13.25"D x 3.25"H. Cabinet Opening: 12.75"W x 15.25"H. Cabinet Space w/o Shelf: 14.5"W x 17.5"D x 15.25"H. Int Shelf Dims (3 Position Adj): 14"W x 16"D.
Browse other items in the Artisan's Craft collection from HomeWorld Furniture in the Hawaii, Oahu, Hilo, Kona, Maui area.